It’s not. It’s not. It’s not. 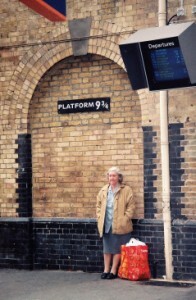 Nearly five years ago, when I was on my five-month solo European journey, I experienced the same construction work going on at the railway station as WanderMom and her son did. 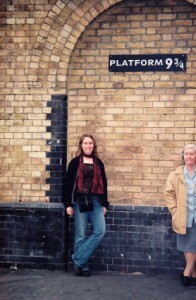 I was also redirected to not the logical place that Platform 9¾ should have been located. But it didn’t matter where it was, really. 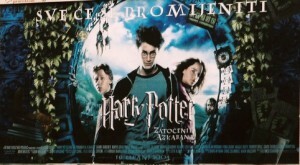 The point was that I, an adult Harry Potter fan, went to the place where the children of the wizardry world, especially Harry himself, and his friends Hermione and Ron, disappear from the Muggle world, through a brick wall, in order to catch the Hogwarts Express that takes them to the Hogwarts School of Witchcraft and Wizardry. 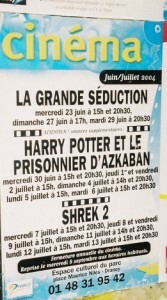 How thrilling! 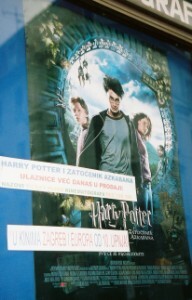 As I was traveling around Europe, which was around the time that the “Prisoner of Azkaban” movie was being released, this Harry Potter fan took several pictures of the movie poster from various countries, including Croatia, Italy and France. 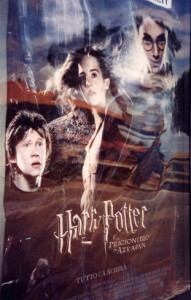 And, on July 19, 2004, I even went to a movie theater in London to see the movie!! 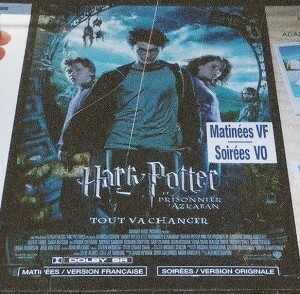 Now is that a Harry Potter fan, or what!